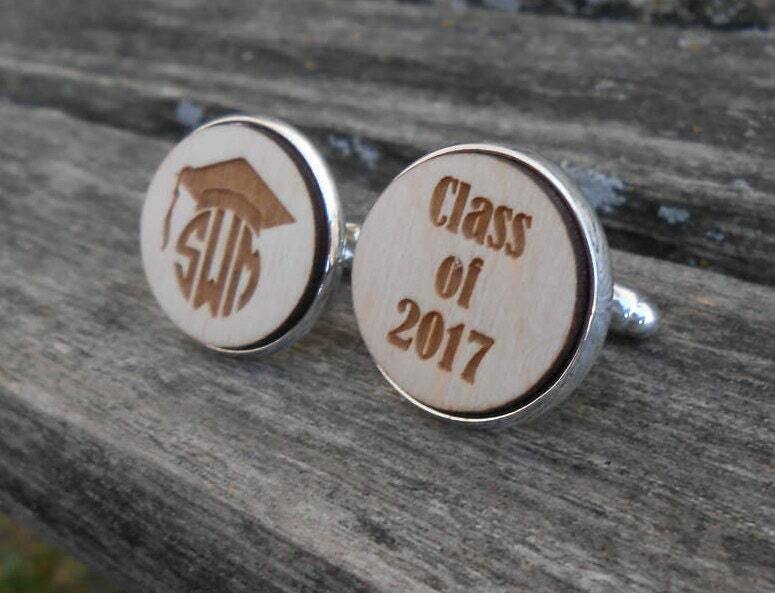 These cufflinks are perfect for a graduate! 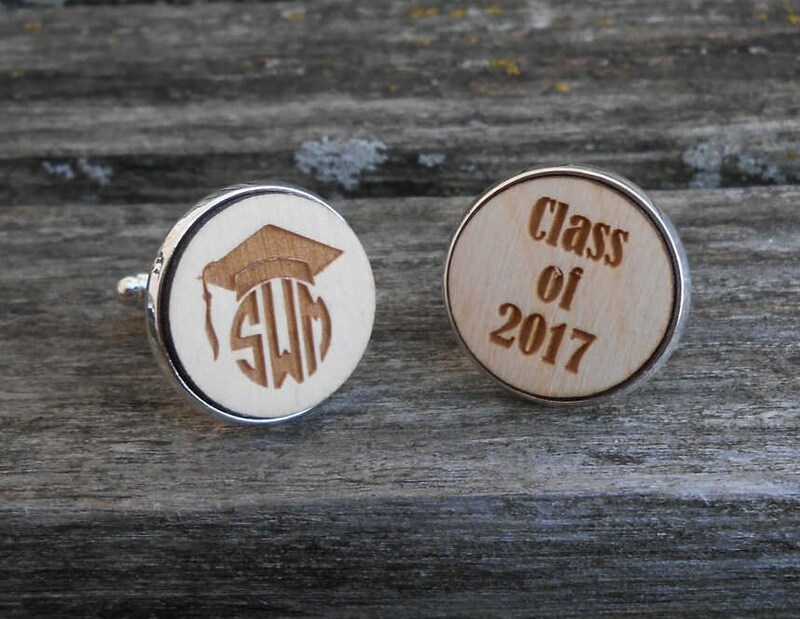 Each one can be customized with your initials and class date. 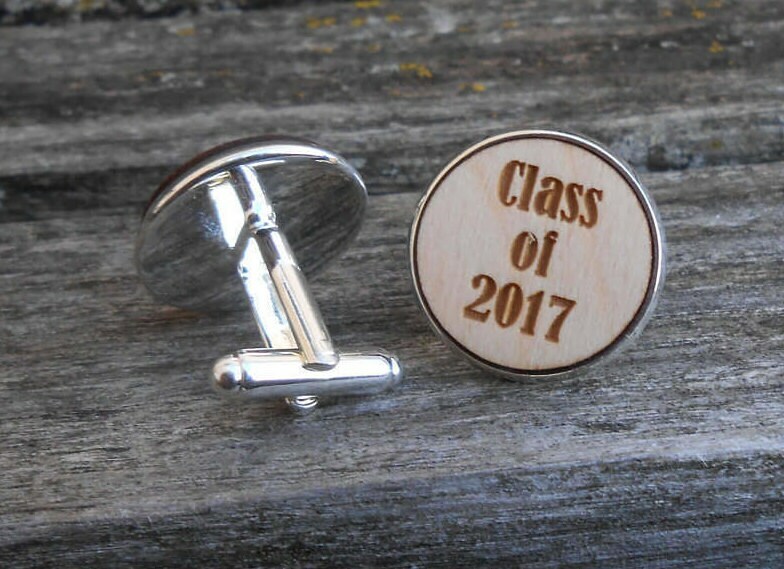 They make a great gift for anyone! 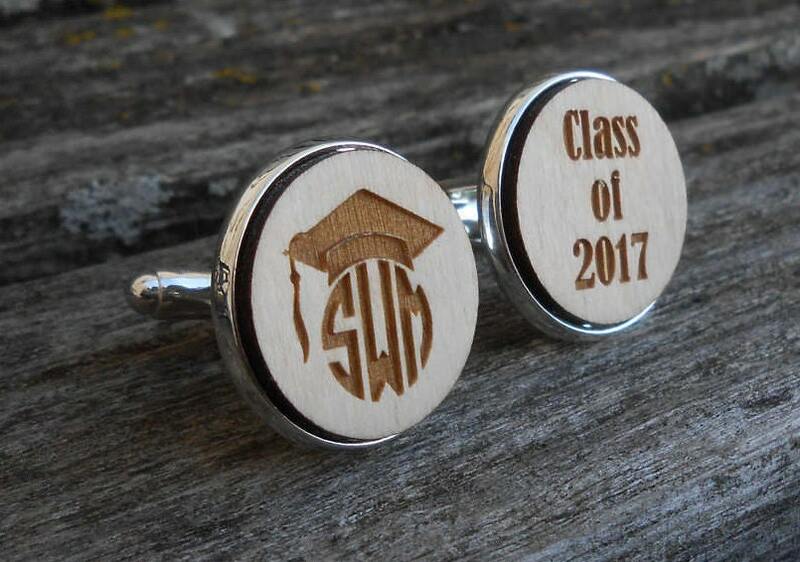 They are made from laser cut birch wood. 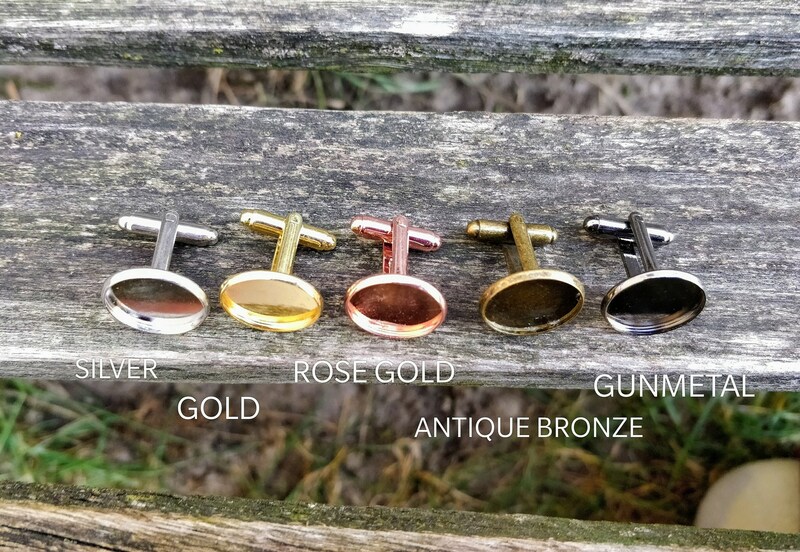 The cufflinks measure 20mm in diameter. 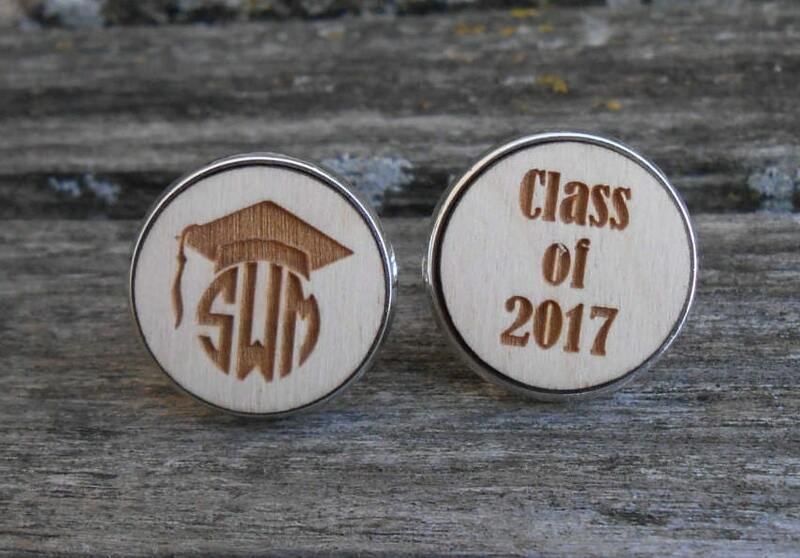 ---> Leave a message in the "message to seller" box at checkout with the initials you want and the graduation year.